To find out the very latest news, make sure you follow our Twitter page! The club has signed four new players in the January transfer window with the aim of strengthening the squad in a bid to win the club's sixth Iraqi Premier League title. The four incoming players are left-back Dhurgham Ismail, returning to the club after three years in Turkey, winger Karrar Jassim, a winner of the AFC Asian Cup in 2007, Senegalese midfielder Dominique Mendy, coming from rivals Al Quwa Al Jawiya, and Tunisian defender Zied Derbali, arriving from Al Muharraq of Bahrain. Young goalkeeper Abdulaziz Ammar has also been sent on loan to Al Semawah while striker Mohammed Jabbar Shokan and defender Ahmed Nadhim have been sold to Al Minaa and Al Naft respectively. "The administrative body of Al Shorta held a special meeting to discuss the offers received by the club for the services of national team striker Mohanad Ali. The offers officially received by the club were from the following clubs: Al Ain of UAE, Benfica of Portugal, Galatasaray of Turkey, Genk of Belgium, AEK Athens of Greece and Juventus of Italy." 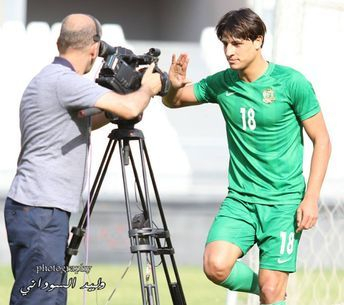 Mohanad will therefore remain at the club for the remainder of this season at least, in a bid to win the Iraqi Premier League for the second time in his career. His first title came in the 2013-14 season when Al Shorta were crowned champions two days short of his 14th birthday, making him the youngest player in the competition's history to earn the winners' medal. He also holds the records for the youngest ever Al Shorta player and the youngest ever player to play in one of the six Baghdad Derbies. He is the second-youngest player in the league's history after Amjad Kalaf who made his debut for Al Kut as a 13 year-old back in 2005. Al Shorta will undergo a short training camp in Erbil to prepare for the return of the Iraqi Premier League. 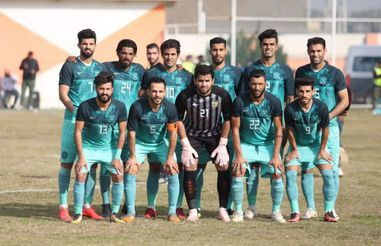 The league has been suspended for over a month due to the Iraq national team's participation in the AFC Asian Cup, while Al Shorta have been eliminated from the Iraqi FA Cup 2-1 on aggregate by Al Kahrabaa. The camp will include some friendly games featuring the club's new signings.